The second part of a Pat Deegan interview by the business magazine Forbes. ‘We’re talking with Pat Deegan, creator of CommonGround, a web-based application that empowers patients recovering from mental illness to take a more active role in their recovery. A former schizophrenia patient in her teens, Pat overcame a diagnosis of complete disability to become an internationally-recognized psychologist, and founder of a Personal Medicine system that empowers people diagnosed with mental conditions, working with their care providers and their communities, to take control of their own treatment and personal recovery. 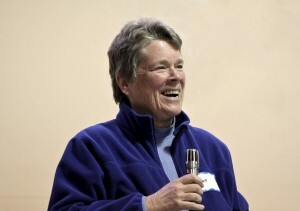 In Part One Dr. Deegan talked about her own story and the creation of CommonGround. In Part Two, Pat takes us deeper into the product and the company that has been created as a result. We’ve been thinking about these business challenges and even started working on them with some Tuck students. We’ve reached an important nexus of the topic we are most interested in – can you really add social value and be successful as a business at the same time? Dr. Deegan, you think Personal Medicine is a central framework for thinking about recovery and living life. What exactly is Personal Medicine? We think of Personal Medicines as things we can do to help ourselves. In our culture, we tend to think that medicine is a pill. But there are many things that can change our biochemistry and create well being in our lives. Cooking, gardening, walking in nature, being a good parent – all of these are examples of Personal Medicine. No matter how hard pharmaceutical companies market their miracle drugs, recovery requires more than taking pills. It requires Personal Medicine as well. In order to recover we have to get active and do the things that put a smile on our face and make our lives worth living. Each person using the CommonGround web application is assisted in identifying their unique Personal Medicines. Each time they prepare a CommonGround Health Report for the doctor, our folks report on whether they are using their Personal Medicine. It sounds like simple common sense, but in mental health medicine today this is a disruptive innovation. Why did you set CommonGround up as a for profit? I didn’t set out to be an entrepreneur. Creating a business was a means to an end, and an LLC was easier to file. We are so focused on our mission. But truthfully, we are becoming a business now. We have eight employees now. We are looking for a business person with modern sensibilities about business, but also someone with a passion for developing technologies that help empower and activate patients. We’ve found incredible talent because of the strength of our mission. We have attracted developers and engineers who forego Silicon Valley salaries to come join our team. Why can’t success and social value go together? We are showing they can. You don’t describe yourself as a psychologist or as a researcher. How would you describe yourself? I see my work as a vocation, a calling to spread a message of hope that it is possible to recover from mental disorders. It started with me hearing that my life was over. You can imagine how terrifying that is at a young age. For me it spurred an angry indignation, a flame. Recovery is for everyone, not just for a few people who somehow find in themselves the resources to reach it. Humans use tools to do what they can’t do on their own. We built CommonGround so everyone could have the tools to do what they might not know they could do on their own. Our philosophy is that if you give people the keys, they will free themselves. We make the keys that help people work with doctors in new ways so they can recover. What’s the future of CommonGround? The vast majority of psychiatric medications are prescribed in primary care so that is one of the arenas CommonGround needs to move into. We want to move into federally qualified health centers. We’ve received requests to develop products for parents who have children who are in psychiatric treatment for ADHD, etc. We haven’t even tried to get into private sector behavioral health yet. Additionally, when people see CommonGround they say, “This will work for any long-term condition: diabetes, asthma, etc. too, right?” They are right and we want to figure out how to use our platform to activate and empower other groups of patients to participate in their healthcare. We have a couple of large corporate partners who are extremely committed to our work and who champion CommonGround by rolling it out across their provider networks. There is also a possibility of developing an API so that CommonGround integrates with EHR’s. We’ve never done any marketing. A good friend in the oil business asked, “Why did you start in the public sector? That’s a sector with no money! You started with the sickest of the sick and poorest of the poor!” Well, that’s where my heart is. We are off to a good start but have a long way to go. We still have so many questions: How do you market such a product? How do business people understand the business model? Is there a partner who can increase our distribution? I would love to hear thoughts from your readers. I know what I think. Pat Deegan is a real recovery hero and I wish her every success!